On August 24, was the show of “de Vriendenkring” in Wezep with Englisch Jugde Sally Green. Beukenhof’s Nina (sire: Cui Pendragon) participated in the group of two years old mares and geldings. She was first in the class of 8 2 years old ponies. Later that day she was allowed to run at the youngstock championship and she was Youngstock Champion. 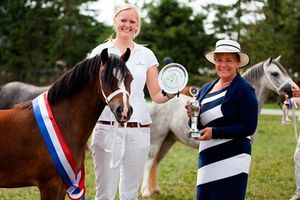 The horse newspaper was as follows: The Youngstock championship was going to the well-developed and decision-making about depth and good moving two years old Beukenhof’s Nina (Cui Pendragon). 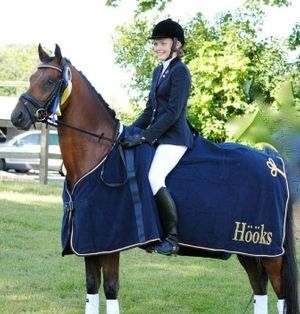 In 2011 she was foalchampion on the same show. And now she was on front they remained three years mare Springbourne Catryn (sire: Cascob Red Kite) for. At the end of July the Europianchampionships for ponies to place in Arezzo . Also Beukenhof’s Ricardo was there at the age of nine years with the young Norwegian rider Lerke Nordum. They have been a combination of one year. And for both the first Europian championships. They were with the team 10 and individual was she 29 of the 50 combinations. We were verry proud of the results. And also our last foal of this year was born and again a coltfoal. On 10 June 2013 she brought us her first foal. 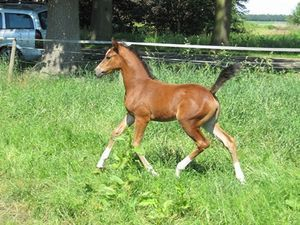 On 20 April 2013 our second foal was born Beukenhof’s Lorenzo it’s a brown son of Orchard Wildeman x Beukenhof’s Natasja. He has four white legs. On 07 April 2013 our first foal of this year was born. His name is Beukenhof’s Dave. 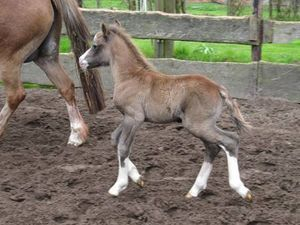 It’s a coltfoal of Kastanjehof’s Amico x Beukenhof’s Wilma. He has four white legs. Some week ago the 9 years old gelding (Beukenhof’s Ricardo) of Morgenlands Fabian x Beukenhof’s Helena was included in the A-Part from Norwegian with the Zwedisch rider Lerke Nordum. 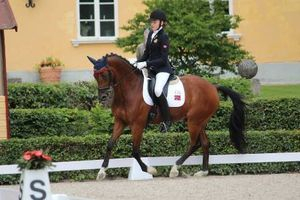 This combination was also likely to participate in the Europian Championships in dressage this year. 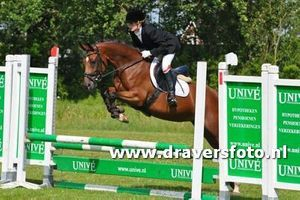 This is not our first breeding pony who is riding the Europian championships the first one was Beukenhof’s Alexander who was riding eventing with Ine Theeuwissen. Ricardo was riding first really succesfully with the Dutch rider Nanette Boerree who was riding him on international level. Now Beukenhof’s Alexander is in Italy fors ome time. Ginevra Garofalo is riding him. 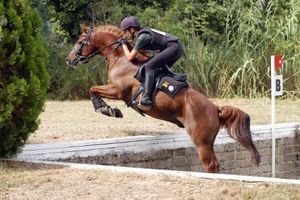 Before her it was the Italian rider Carolina Carnevalli riding him on international niveau. 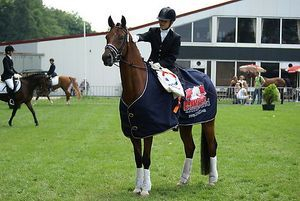 Alexander had rode him before the Europian Championships eventing with the Belgian rider Ine Theuwissen. This combination aso won a lot of prices. Beukenhof’s Jelmer the young son of De Goede Ree Now or Never and out the mother Beukenhof’s Natasja. Unfortunately he went into the first viewing out. 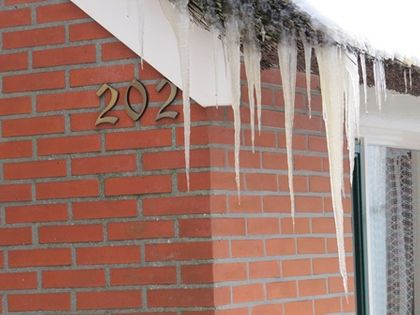 Jelmer is in property of the family Boering they have sold him to Germany nearby Denmark. 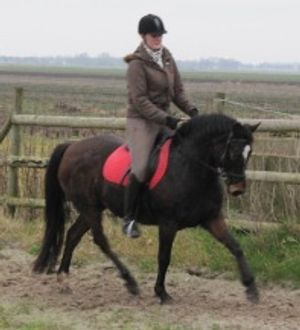 We wish the new owners a lot of succes and fun with him. And we hope we hear something of him. Some days ago we had a nice message from Germany from the Kuhn-Bohlaender family the owners of the now 15 years old Beukenhof’s Stefan. He is a son of Morgenlands Andor and Agatha. 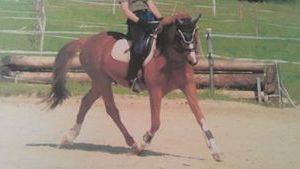 He was areally good pony in his younger years and won some Championships. 06-10-2012: Today our Sandor (sire: Springbourne Charmer) and Silvia (sire: Vechtzichts Cymro Bach) left to Germany to their new owners. They traveld for some 500km. The trip went well and the ponies are happy in there new stalls. 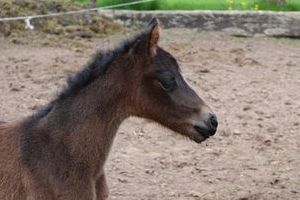 Silvia will be a childern pony, and Sandor wil grow up with her other foal. 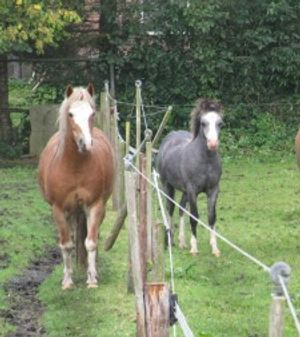 Whe wish the family a lot of fun en succes with the Beukenhof’s ponies. 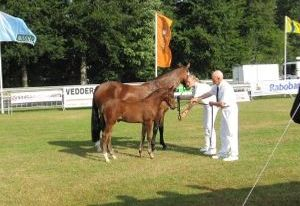 25 August show of the "Vriendenkring"
Today we were going to the show with our colt foal Beukenhof’s Sandor. In the class with older foals he was first in class. In the afternoon he became first the breeding group of Springbourne Charmer also first. Later that day he was reserve foal champion he was moving really well. 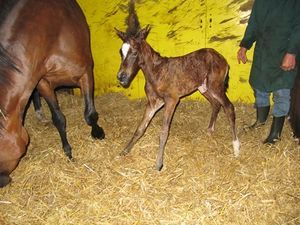 A lovely foalchampion was born out Beukenhof’s Jessica. 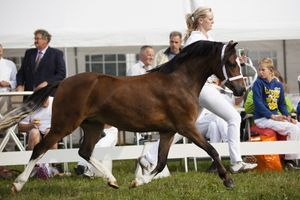 Reuschbachhof’s Julia Stegner (sir: Golden Rock) was in Germany foal champion of the riding ponies. Some years ago we sold Jessica to Thomas Hirschfeld in Germany. In Germany not only her foal has a nice title also Jessica was first in class. After six years was Beukenhof’s Helena broken to riding again. She is really good with riding. Now Juliette has been Beukenhof’s Jasper for some time. They are riding some shows and have got some points in the L1. 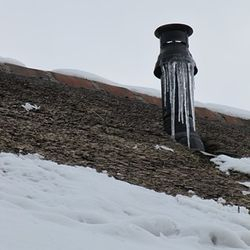 He is sometimes a dragon. As Juliette described. On the stallion show he was coming to the second viewing. Carola is doing verry well in sport. She has became double M with Danielle Boering. 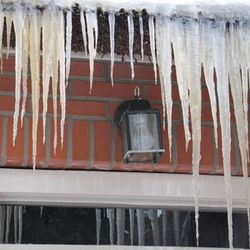 The owners are Boering family. Barry is doing well in france. He has won some prices. His sons and daughters also do well in France. 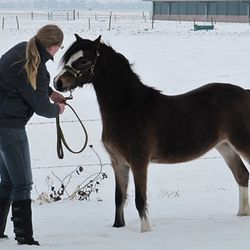 The owner is waiting for four foals of him this year. 16-06-2012: Today Beukenhof’s Ilona (Beukenhof’s Ilona (Hagelkruis Valentijn x Beukenhof’s Helena) has her first show the first show of the season. She has a first premium and took the 5th place of 13 mares. Unfortunately she got no invitation for the national show this year. But we are happy with our mare. It’s a colt foal of Springbourne Charmer x Beukenhof’s Wilma. 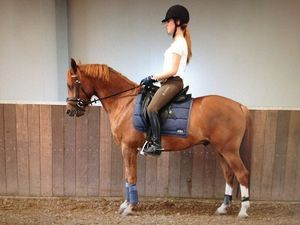 2011: Beukenhof’s Natasja does it good under saddle. We have been riding for 2 weeks. 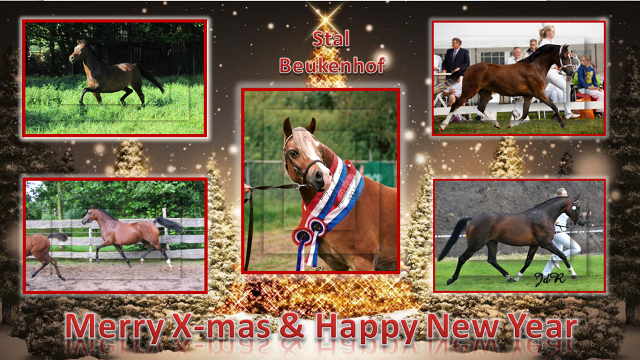 13-11-2011: Today was our Beukenhof’s Fransisca left to her new owner in Germany with BSS Horse transport. 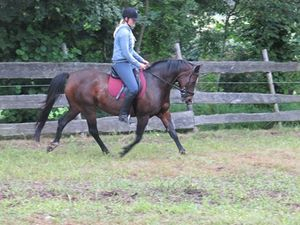 Thomas bought Beukenhof’s Jessica her grandmother some years ago. Fransisca is now in a group with other one and two years old mares. We wish him a lot of succes. 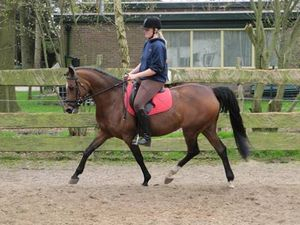 13-10-2011: We brought Beukenhof’s Rosita to her new owners Arjan & Marjolein today. We wish them a lot of success. 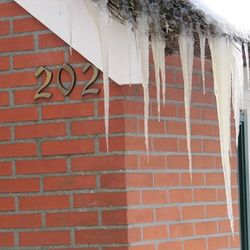 27-08-2011: Show of “de Vriendenkring”. Today we had a show with Beukenhof’s Nina our filly foal in Wezep. We were very curious what de jugde will say about our foal. In the morning we are first with our foal in the class older foals. 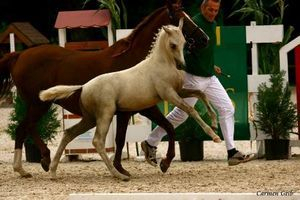 In the breeding group of Cui Pendragon we were also first together with Evertshoeve’s Annely from the Deelstra family and Windhoek’s Janko from the Schilthuis family. We were foal champion later that day. 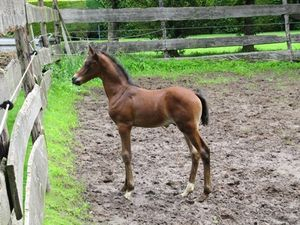 The judge say: She’s a lovely foal. 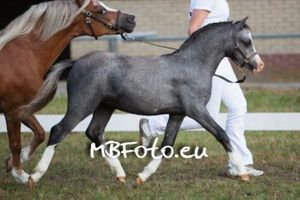 25-06-2011: Today we were with Beukenhof’s Silvia our three years old mare on the regional show in Tolbert. She has a nice first premium. 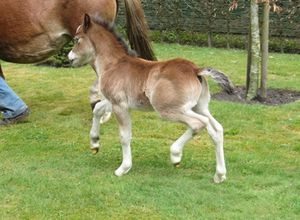 21-06-2011: Our last foal of this year was born. 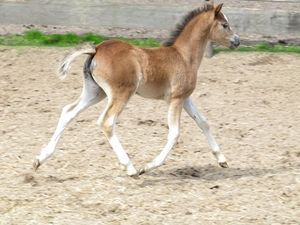 It’s a brown filly foal with four white legs. 28 April to 1 May: Last week Nanette Boerree and her pony Beukenhof’s Ricardo are in Saumur (France). There was a international competition. The first day was the country trial were she had 69,361% and her third part score she was 5th that day and best Hollander. Ricardo was 7 years old. Saturday with the individuel trial was it not a good start for this combination. He was frightened and came to the gates of. It turned out she could just drive. She had 69,342% and a nice 8th place and also best Hollander. Nanette was the only one Hollander who was riding the Kur on music. 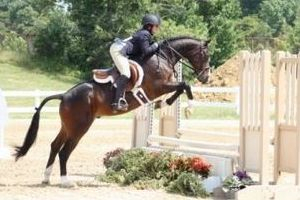 She was riding a nice kur with 70,925% en the became to the 6th place. Everyday she won a price. 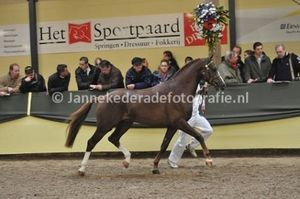 11/12-02-2011: Beukenhof’s Jasper was on the Stallion show in Ermelo. 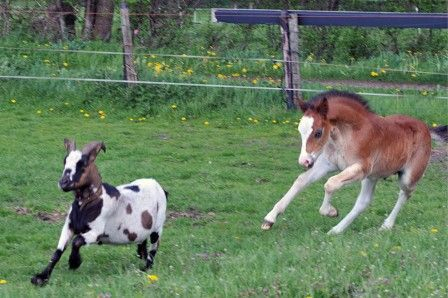 We sold Jasper as a foal. Sire: De goede ree Metall Dam: Beukenhof’s Jessica. Friday was a good day for him and was going to the second viewing on Saturday. Saturday he was not approved. Beukenhof’s Jordy is doing well in the USA. 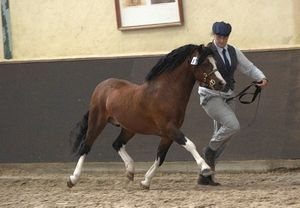 In 1998 he was approved to a Dutch stallion and was that year performance champion. 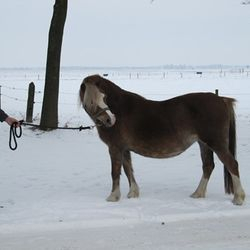 He was some years for the breeding in the Netherlands. He was sold to the USA some years later. Jordy is now a gelding. He has travelled to diffrent owners for a long time in the USA. He has won a lot of prices and was champion in Pennsylvania, New Jersey and Maryland with his rider Jordan Cheneval. 06-01-2011: Nanette Boerre and Beukenhof’s Ricardo (Morgenlands Fabian x Beukenhof’s Helena) does it really good on Zwolle International. Today they have their her second B part score in the pocket with 66,991%. They became 8th of the 30 combinations and 4th best Hollander. Congrats. 27-11-2010 All the ponies have arrived home. 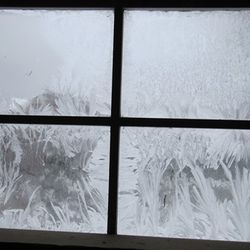 The winter can begin. Beukenhof’s Barry does it good in France. He won a lot of prices with his owner Ambre Reau. This weekend he became champion of the section A and reserve champion of all the sections. There will come some foals of him in France next year. 28-08-2010: Today we were in Wezep with Beukenhof’s Silvia of the “Vriendenkring” . She was second in a big group of the class of two years old ponies. 21-08-2010: Today was the national show in Kootwijk. Two of our breeding ponies are there. In dressage class Beukenhof’s Ricardo with Nanette Boerree. She was 5th of the Netherlands. 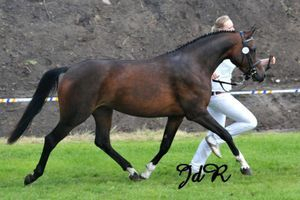 And Beukenhof’s Carola the three years old mare was on the national show. She didn’t become STER mare in the class three years old mares. 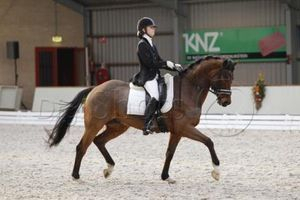 17-07-2010: Today we had a show with our mare Beukenhof’s Natasja and coltfoal Beukenhof’s Jelmer in Eext. Both had a first premium we are happy with this results. 19-06-2010: Beukenhof’s Barry does it really good in France. He was sold to France on a sale. 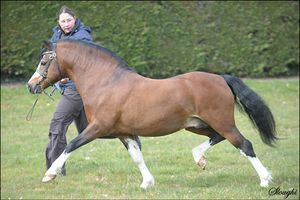 Barry is a son of Zonneweide’s Nico x Elferink’s Hilly. He became champion on a lot of shows of the stallions. He will also appear on a show. We wish Ambre Reau a lot of succes with this stallion. This year there will be six foals of him. 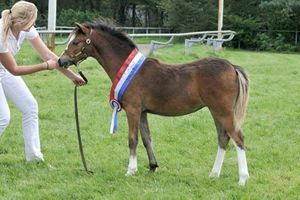 19-06-2010: Today we were on the regional show in Tolbert with 2 ponies which we have bred. 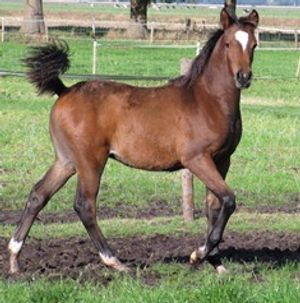 By the three years old ponies was Beukenhof’s Carola (sire: De goede ree Now or Never dam: Beukenhof’s Jessica) Owners Family Boering. She was second of a group with ten mares and is going to the national show in August. 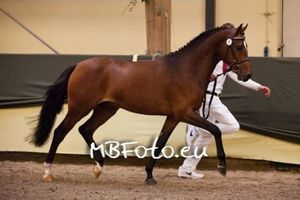 Beukenhof’s Ricardo (sire: Morgenlands Fabian dam: Beukenhof’s Helena) was there in the class young dressage pony. 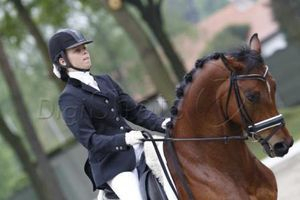 Nanette Boerre and Ricardo had the highest score with the six years old ponies that day with 83 points. The jury told Nanette that they are very economical together and that they had really enjoyed them.